HarperCollins India, which happens to be the second largest English Language publisher in the country (second to Penguin Random House), has turned twenty-one years old, and what better way to celebrate the occasion than by launching a collection of twenty-one short stories that has been appropriately named Harper 21. The stories, which are less than twenty pages, are generally based on romance, though other topics include business, cinema, crime, poetr, and more. The titles can be downloaded from Amazon India and have also been suitably priced at Rs.21. What should add to the appeal of the collection of stories is that the content is fresh, with just about fifteen percent of it being reworks of existing texts. 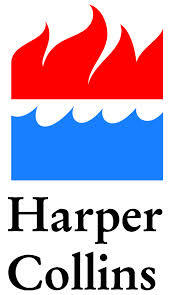 HarperCollins India became a wholly owned subsidiary of HarperCollins Wordwide in 2012, a move that enabled it to adopt the HarperCollins 360 program. This in turn ensured authors don’t remain restricted to the market they started with, but are able to reach other regions and territories where Harper Collins maintains a presence. Murray also expressed satisfaction in the manner that the ebook market is growing in the country.